GYANT offers a suite of asynchronous virtual care solutions that were created by practicing physicians and providers. They understand that any solution that interacts with patients must be delivered with compassion, demonstrate empathy, and engage sympathetically. In a nutshell, GYANT addresses and treats the most prevalent yet manageable illnesses that comprise the vast majority of primary care visits (e.g. flu, UTIs, earache, flu etc.) saving money, time, and worry––and making the healthcare experience more convenient and streamlined for both patients and practitioners. Using this patient history, GYANT suggests a likely diagnosis and triage recommendation which is then passed on to a human doctor or nurse for review before it is presented back to the patient. The doctor/nurse has the option to engage the patient in a chat for additional clarifications or escalate into an audio or video call, if needed. We call this model “AI+” as it combines the efficiency of AI with the safety of human doctors/nurses. Technology’s potential to transform healthcare is huge, and while there has been a lot of progress, it’s still not there for people. It takes weeks to schedule a doctor’s appointment. Many stick it out until symptoms go away, or wind up heading to urgent care. Equally, free online symptom checkers like WebMD aren’t well suited for medical content either. People end up scanning for answers to their symptoms and coming away more scared than ever. 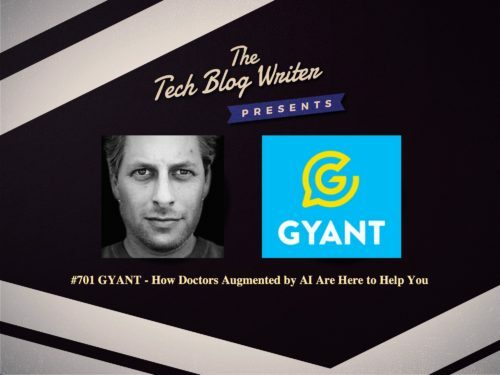 I invited Pascal Zuta, CEO at GYANT to learn more about how he set out to bring together the best of AI and real medical practitioners to accurately diagnose common illnesses and share a treatment plan, in minutes on a mobile app.